‘Scotland and Russia: Performance Since 1900’ is the inaugural event of the ‘Scotland and Russia: Cultural Encounters in the Twentieth Century’ project dedicated to exploring the history of cultural exchange between the two countries over the last hundred years. 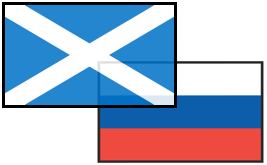 Scotland and Russia have a long tradition of mutual engagement and influence, going back to the Middle Ages and still thriving today; and nowhere is the strength of these links more apparent than in the worlds of theatre and music. The daylong event at the Institute for Advanced Studies in the Humanities will feature talks by leading performance scholars and practitioners, including directors and musicians, and will conclude with a recital of folk and classical music at the Reid Concert Hall. The recital, ‘Glasgow Concerts in the 1930s: Performing Russian Music in Scotland’, is free and open to the public. The programme will include selections from Medtner, Mussorgsky, Shostakovich and Erik Chisholm’s Celtic Folksongs.